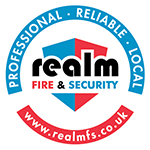 Realm Fire & Security Aberdeen can supply, install and maintain evacuation chairs. We can also give you and your employees training on how to use them. Evacuation chairs are essential in any work place because in case of an emergency people with mobility impairments need to be evacuated safely. You are responsible for the safety of any employees, contractors or visitors on your premises. The Ego chair has 2 wheels and is very easy to store thanks to its extra slim design, the brakes also go on automatically when folded. It has a comfortable and supportive seat in a level position for easy loading. The Ego chair is also excellent value and easy to use. The Versa has a sturdy high capacity frame that travels well on landings, in corridors and downstairs. It has an advanced belt guide system that ensures smooth travel and also has a level seat for comfort and easy transfer. There are safety brakes on the rear wheels and users also get a comfort footrest. The Elite has all the benefits of the Versa plus it has comfort padded seat and arm rests, enhanced headrest with head band and an integral 4 point harness. All these features ensure it is extremely comfortable. It can also be carried upstairs and doubles as a transit chair. 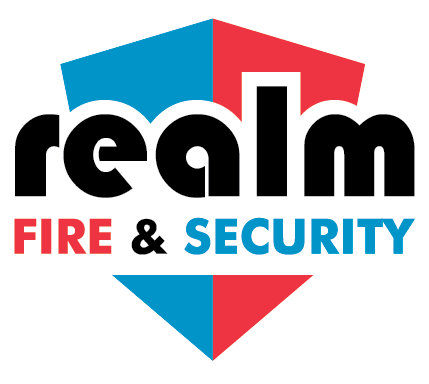 Realm Fire & Security can also supply a Transfer Board along with the Evacuation Chair. 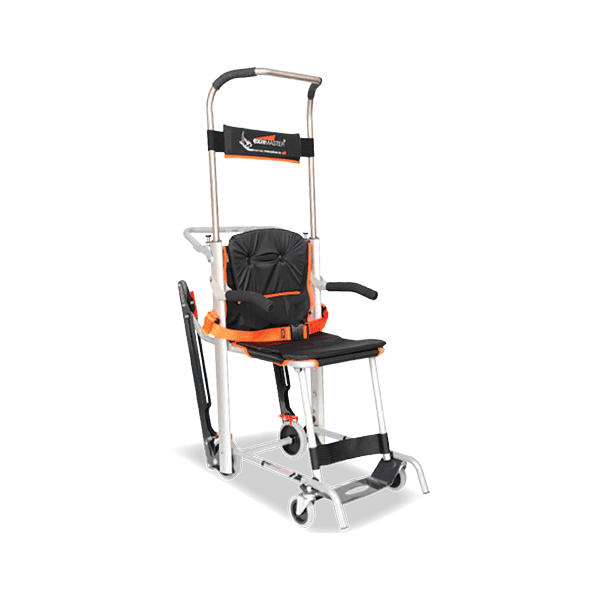 The Transfer Board assists easy lateral transfer from wheelchair to evacuation chair. It also solves manual handling issues because if the person in the wheelchair has the capability then they can transfer themselves across to the evacuation chair.